Raise your arms up as high as you can. This reduces your stable points of contact to zero. Start by lifting your feet only slightly while concentrating on maintaining an neutral position. Try maintaining stability on the ball while you raise and lower each arm. 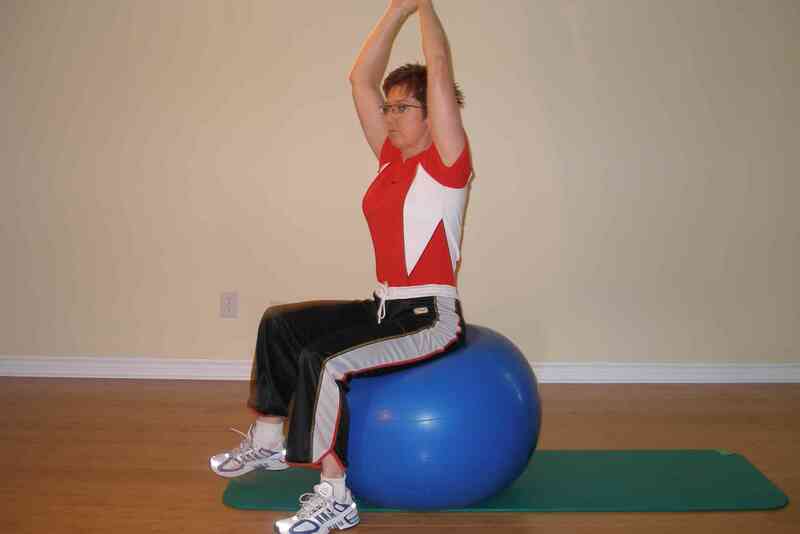 This exercise is made easier by using a soft gym mat, using a softer ball, or propping the ball against a wall. Start this exercise with short movements, only lifting feet up slightly. You may even want to start with a spotter.